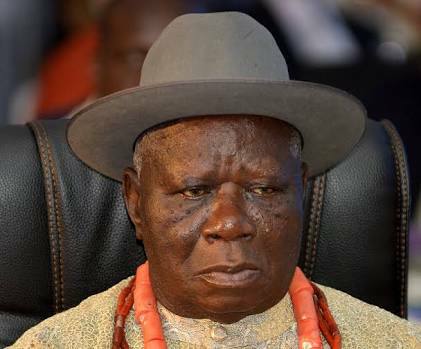 The Inspector General of Police (IGP), Ibrahim Idris has approved the dismissal of three of the four police officers who searched the Abuja residence of Edwin Clark, an Ijaw national leader. The officers had searched Clark’s residence on Tuesday but did not find anything incriminating. It has also been revealed that the officers conducted the search without authorization. The police have since apologised to the 92 year old Ijaw leader and revealed the identities of the officers behind what the IGP described as embarassing. “The inspector-general of police has approved the dismissal from the service of the Nigeria Police Force, three inspectors namely: AP/No. 18858 Inspr Godwin Musa, AP/No. 225812 Inspr Sada Abubakar and (and) AP/No. 225828 Inspr Yabo Paul, and the immediate interdiction of AP. No 158460 ASP David Dominic who were involved in the unauthorised, illegal and unprofessional misconduct in the search of the residence of elder stateman, chief Edwin Clark in Asokoro, Abuja on 4th September, 2018,” the statement read.